Broken Hill is renown for its rich history & heritage, stunning architecture and unique Outback-meets-urban charm, but did you know it’s also a fantastic place to get a feed? 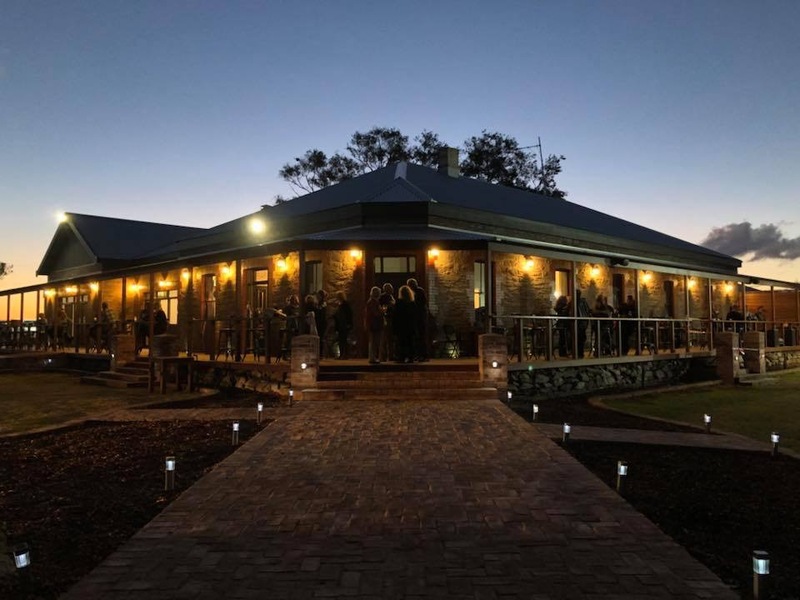 From the eponymous true-blue Aussie pub fare, to fine dining to satisfy the most discerning gourmand, local bush tucker to the flavours of the world, there’s a whole lot of choices for the hungry visitor to the Gateway to the Outback. Here’s a few of our favourite Broken Hill restaurants to whet your appetite and get you started on your culinary adventures. 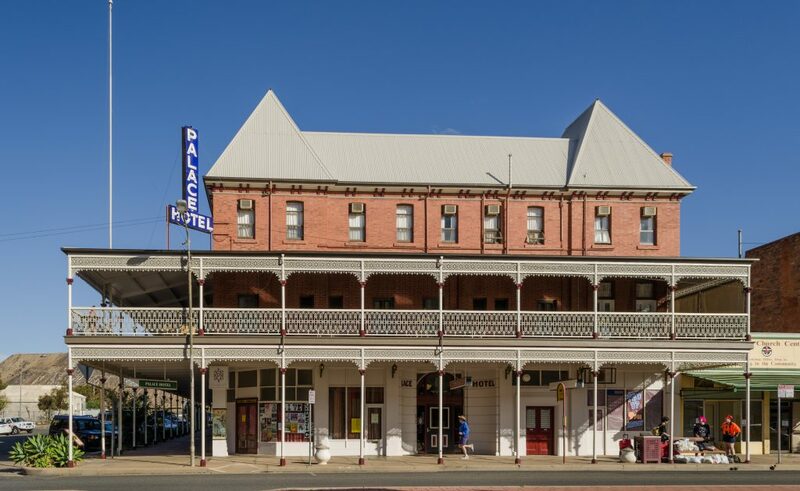 You’ll see The Palace Hotel rank high in any list of what’s amazing about Broken Hill – from the fascinating heritage of this 1889 landmark building, to its place in Australian film and art history. But you may not be aware that the food is also absolutely delicious! Eating in the restaurant and sidebar is a feast for the eyes with beautifully painted murals, but also for the palate. You’ll find traditional pub fare such as fish & chips & burgers, along with gourmet choices such as soft shell crab and pan-grilled duck breast. The desserts are a winner too – don’t miss the Liqueur Affogato! The Silly Goat has a name that’s worth a giggle, but they sure take their food seriously – there’s nothing silly about eating here! With premium ingredients, Insta-worthy presentation, flavours to die for and creative combinations (Mac and Cheese burger, anyone? ), the Silly Goat has been called the “jewel in the crown” of the Broken Hill café scene, and we reckon it’s with good reason. Bells Milk Bar is Australia’s oldest milk bar, and it’s an absolute gem. This icon of Broken Hill culture is an American-style diner which has delighted the tastebuds of locals and visitors alike for generations, since its original incarnation as a small candy store in 1892. It saw its last major renovations back in the 1950s, and still looks like something you’d see on the set of Grease; but don’t just come for the atmosphere, come for the calorie-laden deliciousness of over 50 flavours of old-style traditional milkshakes and soda spiders, and dozens of divine desserts. We love the variety of delicious Modern Australian cuisine you’ll find at the Trinders Restaurant, located in a beautiful heritage building and with gorgeous blast-from-the-past upmarket décor. There’s also the iconic dining verandah – perfect if you want to enjoy a balmy summer day with your meal! They’re particularly known for their tapas and gourmet pizzas – perfect to share with somebody special. This tearoom is a lovely old-style quaint little café with delicious coffees and desserts, and light meals made with love. The prices are reasonable too, making it a favourite for many locals. Well worth a visit – try the pecan pie! Broken Earth is a bit of the best of both worlds – perfect for coffee-o-clock or time for a tipple after a day of exploring. They aim to provide foods “for the whole family”, and they do it well – from fresh, colourful taco salad to comfort-food hot dogs and everything in between. Their desserts are perfect for the sweet-toothed, too. As an added bonus, there’s the scenery – they’re located by the Miner’s Memorial, and you’ll get a fantastic panoramic view of Broken Hill. This gorgeous spot has been a landmark for adventurers for a century and a half, and it has a special place in our hearts, which is why we’ve opened the Broken Hill Outback Resort around it! 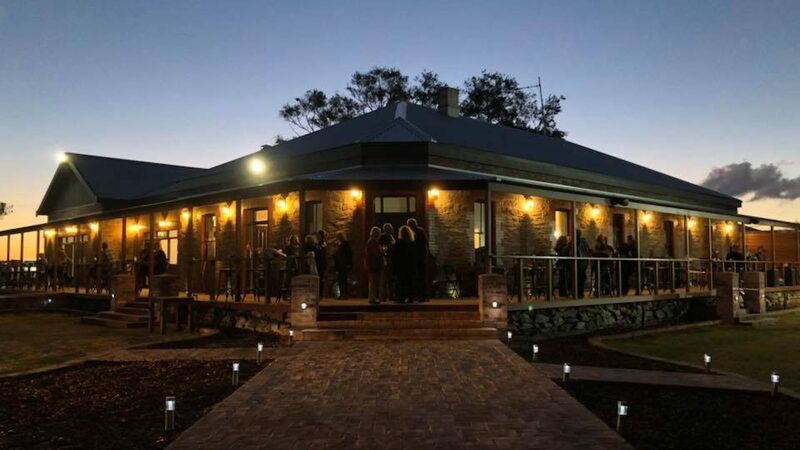 The Mount Gipps Hotel is a now a thoroughly modern pub, with live entertainment every weekend, sweeping verandas and a grassy beer garden, and some of the yummiest pub food you’ll ever taste. We’re all foodies here, and we’re proud of making the kind of food we love to eat, from pizza to succulent ribs and more! Another gorgeous heritage hotel with fantastic food, the Exchange Hotel has an art deco style that makes it stand out architecturally from the streetscape; inside, you’ll find a top-notch commitment to fine dining, with a seasonal menu boasting dishes that are both a tasty and visual treat. Gourmet travellers should definitely have S-Que high on their Broken Hill bucket list. This upmarket restaurant is known for its paellas (or as they cheekily call them, “fancy rice”), and creative dishes such as lobster tacos. They also offer a kids menu with fare that’s a completely different world from the usual nuggets & chips, so if you’re travelling with younger gourmands or hoping to inspire a love of fine dining in your little ones, S-Que is the place to go. This might be a surprise to see on this list – it’s not a café or restaurant, but it’s certainly one of the best Broken Hill restaurants! Grab a fast takeaway feed from Ragenovich Bros Chickens or Annex Fish Shop, and enjoy the breathtaking sunset from this gorgeous lookout covered in unique otherworldly sculptures. A different way of doing dinner that’s so very Broken Hill! We hope reading this has tantalised your tastebuds! We’re always finding delicious new places to eat in the Silver City, and we hope you have fun letting your tastebuds do the walking as you explore what Broken Hill has to offer.